The restoration of Wallenstein Palace and its transformation into the Senate of the Czech Republic. Built between 1621 and 1634 by Albrecht von Wallenstein, who invited the best architects, painters and artisans from Italy, an unusual choice for a city historically dominated by German artists and craftsmen. Most important are the Main Hall, Knight’s Hall, Antechamber, Audience Hall, and the Mythological and Astronomical Corridors. The key objective of the Palace’s restoration for this purpose would be the full architectural rehabilitation of all its parts, including artistic decoration. 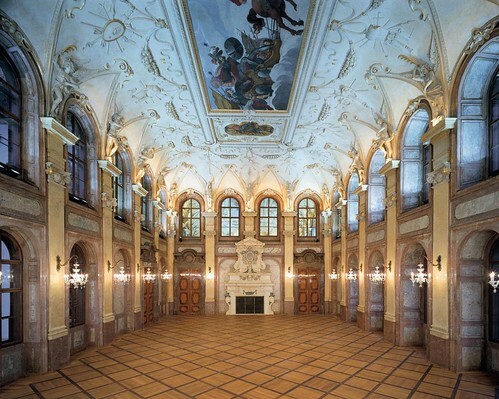 The restoration and reconstruction of Wallenstein Palace has preserved the architectural and artistic heritage of one of the largest and most important building complexes in Prague.